ServiceMaster DAK is the one to call when you need residential carpet cleaning. What makes us unique is our process, we’re the cleaning people who care. When finished with the carpet cleaning we’ll groom the carpet, which enhances the appearance and allows for more efficient drying. 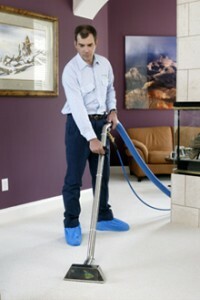 Ask our technician about Scotchgard protection for your clean fresh carpet. They’ll be happy to explain the benefit of protecting your investment from staining due to spills. Before we leave your home we’ll walk through with you making sure you are completely satisfied. Whether cleaning carpet in your home or business, you’re not just changing the appearance of your carpet but also creating a healthier indoor environment. Your carpet is a filter for your home collecting dust, dust mites, bacteria, odors and thousands of micro organisms. These irritants can trigger allergies and other breathing problems. 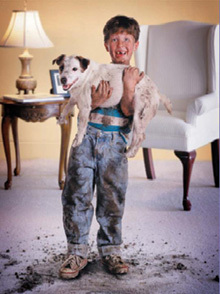 Dean and Eileen Knox and the technicians at ServiceMaster DAK will ensure that your carpet is deep-down clean. Most carpet manufacturers recommend that carpet be cleaned up to twice a year, depending on traffic, to extend the life of the carpet and to create a healthier environment for your home. Let us assist you in bringing out the brilliance of your home. Take care of your investment with regular, professional residential carpet cleaning.